The Republican National Convention is days away and as the speaker list is finalized (or attempted to be) and the RSVPs are counted, some Republican big-wigs are noticeably absent. In the weeks leading up to the convention, a variety of Republican leaders, who normally jump at the chance to make a name for themselves under the bright lights of the convention stage, gave a hard pass to speaking or even attending Donald Trump's crowning moment. One Republican everyone has been wanting to know about is last convention's Republican presidential candidate: Is Mitt Romney going to the Republican National Convention? Remember when Romney was the Golden Boy of the Republican Party? He had the hair, the smile, the scandal-free background and business expertise. In 2008, he was gracious and quickly endorsed Republican nominee John McCain after bowing out. The next presidential cycle, he got his spot on the ticket — snagging the 2012 Republican nomination for president. And, in fact, during that White House run, Trump held a fundraising event for Romney, and all seemed good between them. However, today's Romney is sort of dancing to a different tune when it comes to Trump — and to a degree, the Republican party. They do the waltz, he does the fox trot. They salsa, he tangos. They hold the national convention, he says, "Nah." Romney's pass on the Republican National Convention in Cleveland, which is held from July 18 to July 21, should come as no surprise after months of Romney being on the anti-Trump warpath, which started way back during the primaries. There isn't enough space in one article to put all of the tweets Romney and Trump have lobbed back and forth, and it's a feud that has created, or at least embodied, stark dividing lines within the GOP. The potential starting point was a speech Romney gave in March at the University of Utah saying, among other vitriol, “If Donald Trump's plans were ever implemented, the country would sink into a prolonged recession." Romney also criticized Trump's business ventures and foreign policy saying, "Donald Trump tells us that he is very, very smart. I'm afraid that when it comes to foreign policy he is very, very not smart." Trump lashed out in speeches calling Romney a "choke artist" and "a failed candidate." 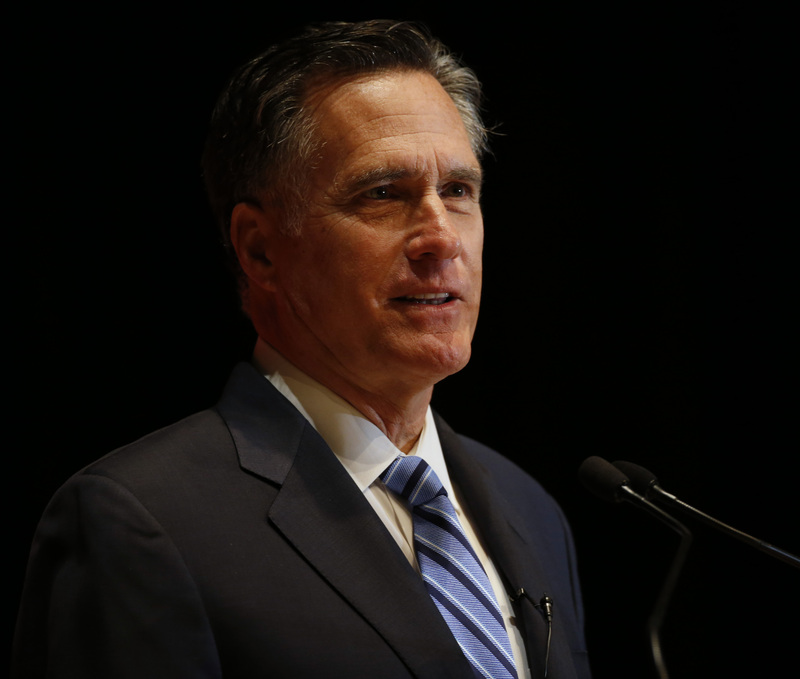 Since then, no love has grown, and the anger has only risen culminating in Romney declaring back in March that he will not be at the convention in Cleveland. It's hard to deny that Romney started something with his public renouncing of the Donald. He made it OK for Republicans to at least not support Trump, if not all-out criticize him. If only in the growing number of people who have refused to speak at the convention, Romney's absence will be palpable.